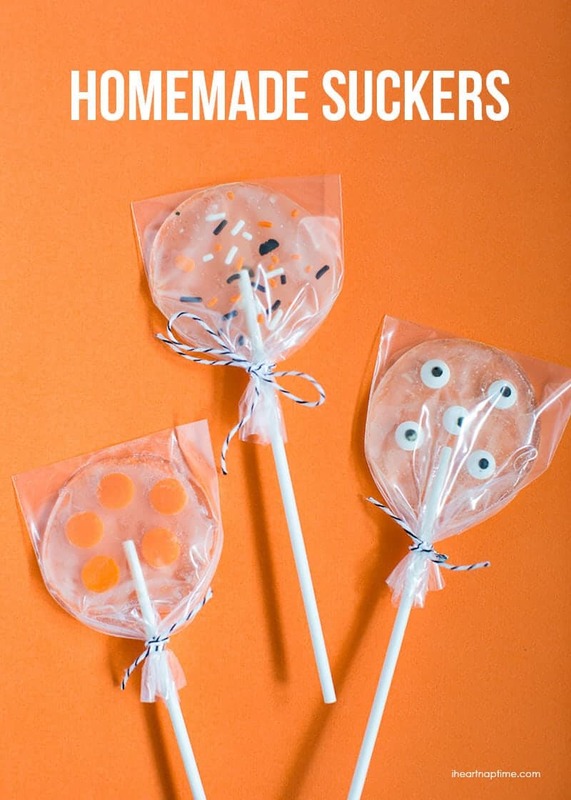 Homemade Suckers - a Fun Halloween Treat! 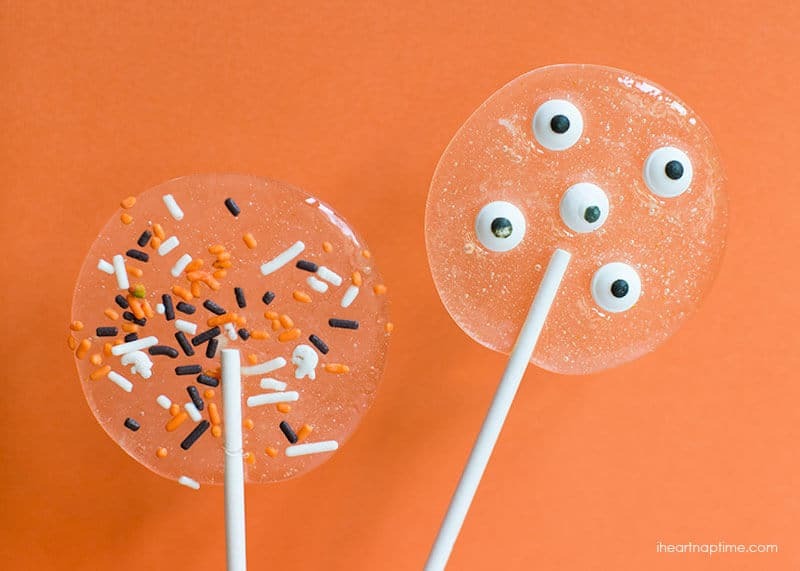 Homemade suckers – a fun Halloween treat and one all kids will love! 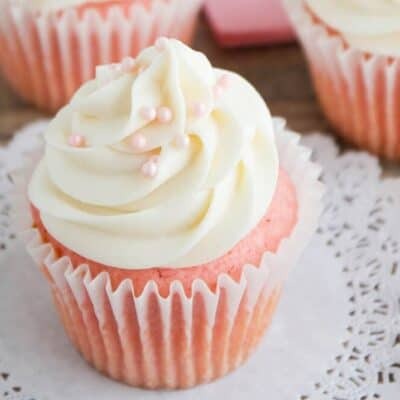 Ever wonder how to make those adorable homemade suckers? Well, today I’m going to show you how to make them at home! They are actually easier than you may think. 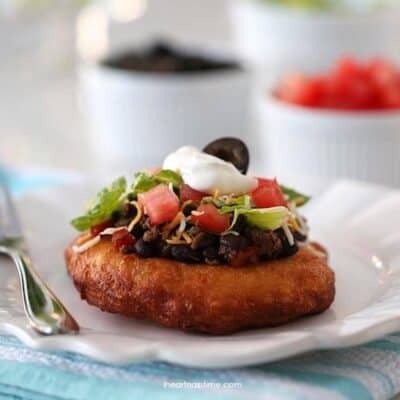 The possibilities are endless with this recipe, too. You could add different colors and use sucker molds to make fun shapes. I found this recipe in the Kids’ Treats book by Katie from Made to be Momma (one of our awesome contributors)! 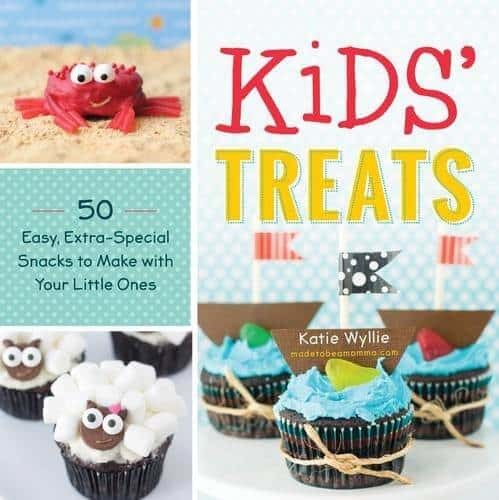 The book has 50 EASY and extra special treats to make with your little ones. 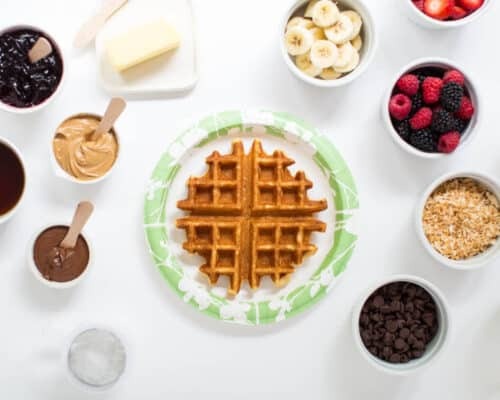 My kids absolutely love this book and have already bookmarked the next treat to make. Note: Candy making can be dangerous. I would not advise to have your kids help with the actual cooking. I let mine help pour in the ingredients before the heat was on and then help with the decorating after the suckers had cooled a bit. 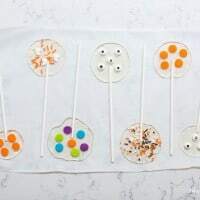 Homemade suckers - a fun Halloween treat and one all kids will love! Line a cookie sheet with a silicone mat or parchment paper. Lay out the sticks next to the pan and have sprinkles opened. Combine the sugar, karo syrup and water in a medium sized sauce pan. Bring to a boil over medium heat, stirring constantly. Boil candy mixture for 5 to 7 minutes, or until a candy thermometer reaches 310ºF. Turn off the heat and then stir in the extract. Using a small cookie scoop, or Tablespoon, scoop the mixture and then pour onto the pan. Place the stick in the middle of the circle immediately and then decorate with sprinkles. I like to work one at a time. They do harden fast, so move quickly. Let lollipops cool completely, about 15 minutes, and then carefully remove from the pan. Store in a cool place. Make sure to clean pan immediately with hot water, so you don’t end up with a sticky mess. You can also use food coloring and sucker molds, lots of possibilities! I made exactly the same a couple of weeks ago (not published on my blog yet) and kept them in the fridge, but as soon as I took them out, they became soft and sticky. What did you use to keep them in form? Hi Liz! Our best guess is that when cooking the sucker mixture, it did not quite get hot enough for long enough. Did you use a candy thermometer when boiling? If so, any chance it’s not quite reading properly? 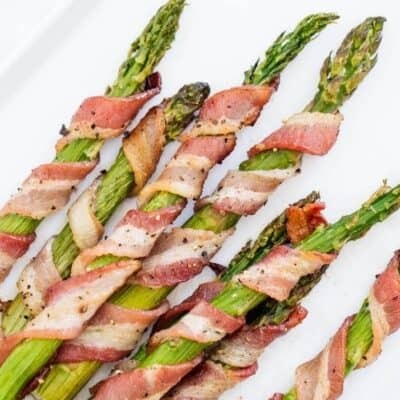 These look so fun, and so easy to make! 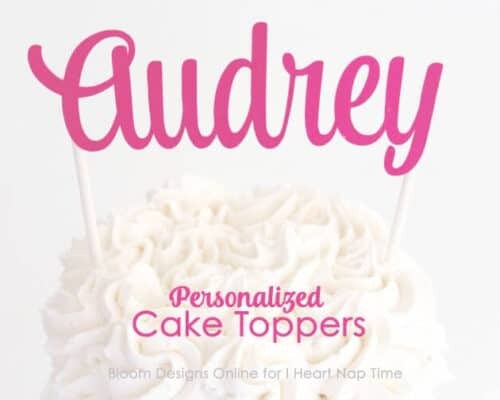 I love that they can easily be made for any holiday or birthday! How did you make the tiny eyeballs? Those are my favorite! Those are premade candies! Aren’t they amazing? !